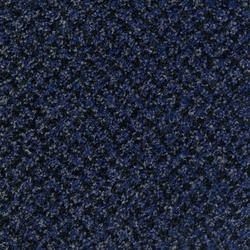 As the name suggests, DESSO Protect is a practical and hard-working entrance barrier carpet tile, designed to safeguard floors throughout a building from external dirt and moisture. A wool and nylon cut pile carpet tile, DESSO Protect has a scraper fibre evenly spread over the tile and has a subtle colour mélange. Functional and elegant colour options are available in anthracite, grey, beige and dark blue.